Karate can be broadly separated into three main aspects, Kihon, Kumite, and Kata, all of which are important, but many say that Kata is the 'heart' of Karate. 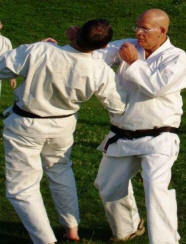 Kata is used to 'program' the body with technique. 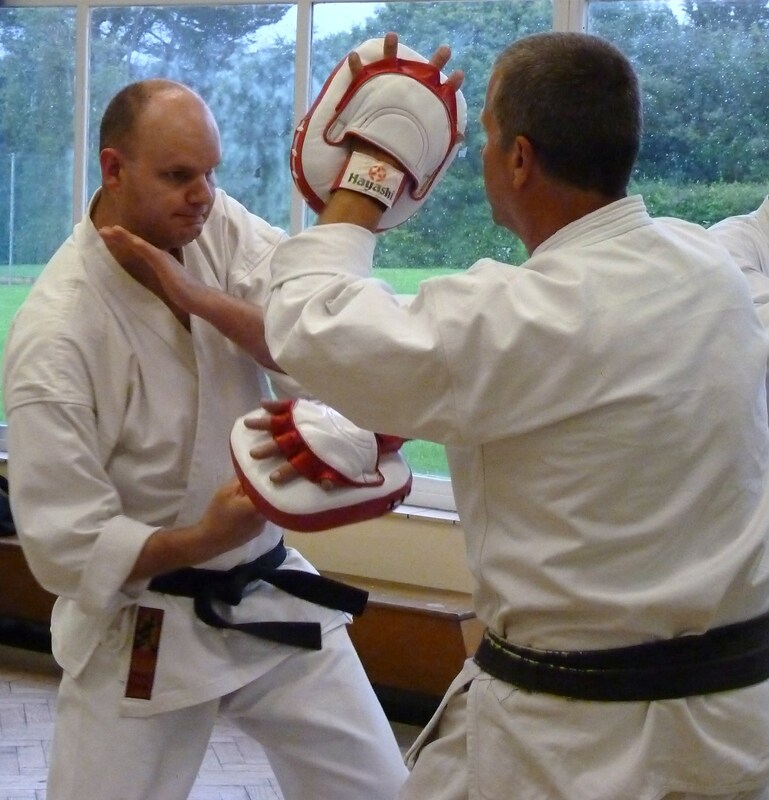 The more a kata is practised, the less conscious thought is used, so that eventually the body seems to perform the kata on it's own, leaving the mind to concentrate on the intention behind the moves. Click here to see the translations and origins of the various kata. Shoto-Ryu Karateka perform Kata with shoulders and upper arms relaxed, but fists clenched tightly. Kata is usually performed either in groups or on one's own, although it should also be practised against an opponent to increase understanding of the moves being performed (see left). Shoto-Ryu does not enter into competitions, so there are no rules applied in Kumite. However, it is still a practise and control is exercised at all times.